Ko Mauao te maunga, ko Tauranga te moana, ko Ngāti Ranginui te iwi, ko Pirirākau te hapū, ko Paparoa te marae, ko Werahiko rāua ko Te Rina ngā tupuna, ko Meegan Renee Te Rina Hall ahau. As an associate professor in academic development, Meegan's primary focus is working with Māori and Pasifika academic staff and encouraging culturally responsive teaching and learning practices for Māori and Pasifika students. As part of this work, she holds the position of Poukairangi Ako for Toihuarewa, the Māori faculty at Victoria University of Wellington. This allows her to represent Māori interests on a number of key University boards and committees. She also provides learning and teaching-related policy advice to and on behalf of Toihuarewa, develops Māori and Pacific learning and teaching-related events, training and resources, and address Māori and Pasifika learning and teaching-related issues. On behalf of the Centre for Academic Development, Meegan is the liaison person for Toihuarewa. She also teaches on the Centre's Postgraduate Higher Education Learning and Teaching (PHELT) programme. Meegan completed a law degree and a BA in history at Victoria University of Wellington before switching to postgraduate studies, then teaching and research roles at Te Kawa a Māui, the School of Māori Studies. She spent four years as poutaki/senior programme manager Māori in Victoria’s Continuing Education and Executive Development (CEED) unit, then had a brief stint in the private sector, before returning to the University to work at the Centre for Academic Development. Meegan's research specialty is Māori academic development. It combines her interest in academic practice and higher education learning and teaching, with her doctoral work and ongoing research-led teaching in Māori Studies, and her work as a senior lecturer in academic development responsible for supporting Māori academic staff. 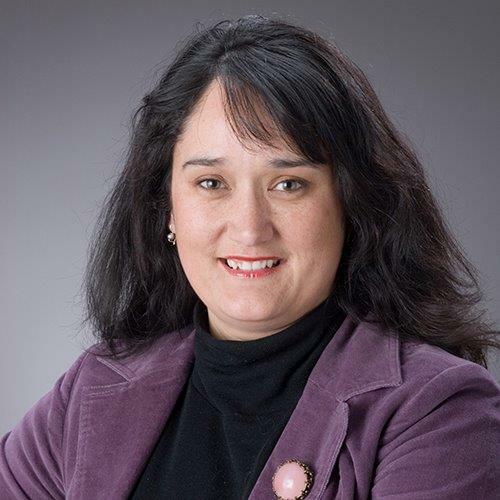 She uses both kaupapa Māori and Māori-centred methodologies to conduct research that examines Māori academic practice and Māori pedagogies, as well as supporting Māori student achievement in higher education. Hall, M., Rata, A., Adds, P. (2013). He manu hou: The transition of Māori students into Māori Studies. The International Indigenous Policy Journal, 4(4). pp. 1-19. Higgins, R., and Hall, M. (2011). Te Pataka Kai Iringa o te Kupu, o te Korero. He Pukenga Korero: A Journal of Māori Studies 10 (1), pp.9-15. Hall, M. (2011). You Model What You Want To See From Them. New Zealand Journal of Teachers’ Work 8 (1), pp.68-77. Adds, P., Hall, M., Higgins, R., and Higgins, T. (2011). Ask the Posts of our House: using cultural spaces to encourage quality learning in higher education. Teaching in Higher Education 16 (5), pp. 541-551. Hall, M., and Hobson, J. (2010). Publish or perish? The challenge of journal rankings for Māori-related research. MAI Review (3), pp1-5. Hall, M. (2013). Principles over Pinstripes: Developing and leading Māori academics. In Whitinui, P., Glover, M., and Hikuroa, D. (eds), Ara Mai He Tētēkura: Visioning Our Futures - New and emerging pathways of Māori academic leadership. Dunedin: Otago University Press. Mercier, O. R., Douglas, S., Hall, M., McFadgen, B., Adds, P., Bargh, M., Wilson, T. (2013). Promoting engagement through a student-built digital atlas of Maori Studies. In Wankel, C., and Blessinger, P. (eds), Increasing Learner Engagement through Cutting-edge Technologies. Bingley, UK: Emerald Publishing Group. Sutherland, K., and Hall, M. (2012). Developing scholarly tutors. In F. Beaton, and A. Gilbert, (eds), Developing Effective Part-time Teachers in Higher Education. London: Routledge. Hall, M. (2014). The Whanaungatanga Palimpsest: Reflections on the layers of relationships in Indigenous Studies research. Indigenous Research Forum, Sydney, Australia, 25 November 2014. Hall, M. (2014). Deciphering the crosshatch: Reading the relationships in Māori social science research. Māori Association of Social Science Conference, Palmerston North, 19-21 November 2014. Hall, M. (2014). Mobility on the Margins: When academic and Indigenous cultures collide. Academic Mobility: Challenges of Internationalisation Conference, Mainz, Germany, 26-28 June 2014. Hall, M. (2014). Weaving a Māori Educational Framework. International Consortium of Academic Development Conference, Stockholm, Sweden, 16-18 June 2014. Adds, P., Hall, M., Pohe, E., and Rata, A. (2012). Researching Māori Student Course Completions: A Māori Studies Case Study. Māori Association of Social Science Conference. Christchurch, 28-30 November 2012. Hall, M., and Sharman, S. (2012). Reconnecting with Māori Students: Building an online training module for tutors. Māori Association of Social Science Conference. Christchurch, 28-30 November 2012. Hall, M. (2012). Personal pronouns and ‘flexible minds’: Shaping Māori academic identities. Academic Identities for the 21st Century Conference. Auckland, 25-27 June 2012. Hall, M. (2011). Treasure in the Margins: Rethinking Māori academic development. Tertiary Education Research in New Zealand (TERNZ) Conference. Wellington, 24-25 November 2011. Hall, M. (2011). Getting Real: How Māori academics are influencing their academic development. Higher Education Research and Development Association (HERDSA) Conference. Gold Coast, Australia, 3-7 July 2011. Adds, P., Mercier, O., and Hall, M. (2011). Digital 'Māori Mapping: Enhancing learner engagement through a student-built atlas. Higher Education Research and Development Association (HERDSA) Conference. Gold Coast, Australia, 3-7 July 2011. Hall, M. (2014). Rethinking Māori academic development in New Zealand universities (Doctoral thesis). Victoria University of Wellington, Wellington, New Zealand. Higgins, R., and Hall, M. (2011). Te Whakatuwheratanga o Te Tumu Herenga Waka: Revised Edition. Wellington: Te Kawa a Māui, Victoria University of Wellington. Hall, M. (2010). Filling in the Blanks: A Review of The Prophet and the Policeman: the story of Rua Kenana and John Cullen. Te Pouhere Korero 4. Hall, M. (ed) (2010). Mā tau rourou, mā taku rourou: Working with Māori Communities, Māori Association of Social Science (MASS) Conference Proceedings 2010. Auckland: Māori Association of Social Science. Hall, M. (ed) (2010). Māori Association of Social Science (MASS) Conference Proceedings 2008. Auckland: Māori Association of Social Science.